The United States is home to a highway that has captured imaginations for nearly a century. 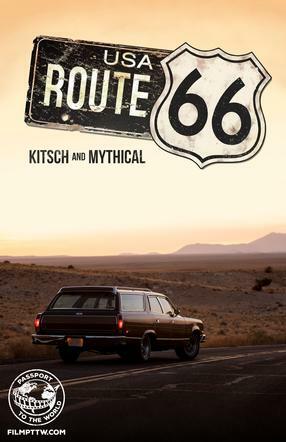 This mythical route is part of American folklore, even of the great “American dream.” Its name: Route 66! This stretch of road, originally established in 1926, crosses 8 States over almost 4,000 kilometres, and connects Chicago, Illinois, to Santa Monica, California. Over its lifetime Route 66 has seen it all, first as a symbol of hope and prosperity and then being forgotten when the superhighways were built. However, new life has been breathed into Route 66 by nostalgia buffs who want to experience or re-experience this historic crossing, or simply to discover the “beauty” of the American kitsch that still lines a road that has become an open-air museum. Take an unusual “road trip” on board an old 1976 AMC Matador Brougham station wagon and you too will be singing “Get your kicks on Route 66”!